Amid a crumbling and fragile system, central and regional elites gear up for a new power struggle in Russia’s North Caucasus. If 2015 was the year of purges of regional elites for the North Caucasus, 2016 will be the year of political innovation. And Chechen leader Ramzan Kadyrov has been first off the starting blocks. Kadyrov began the year by announcing a new political agenda — at a federal, not just regional level. In a joint statement with two other senior Chechen politicians, Kadyrov labelled Russia’s opposition and dissenters as “enemies of the people” and “traitors”. The North Caucasus, and particularly Dagestan and Ingushetia in the region’s east, is bound to respond to these clear (and pretty scary) signals. Especially when you consider that the local political process is already moving in a dangerous direction. Both state and public institutions are in decline. They are short of money and no longer care where and how they get it. The law of ‘might is right’ is back, and it isn’t just Kadyrov’s dog Tarzan who is sharpening his fangs. In the 1990s, when the Russian state was ‘on its knees’, the institutional specifics of the Caucasus came to the fore in the growth of ethnic nationalist movements, a rise in religious fervour and the emergence of Islamist parties. In its most brutal moments, the national-liberation struggle descended into open war, while global Islam became the ideology behind the ‘village revolutions’ in rural Dagestan. At one point, two villages (Karamakhi and Chabanmakhi) declared themselves an ‘independent Islamic state’. During the gloomy years of the 2000s and the first half of the 2010s, the infamous ‘power vertical’ was built in the North Caucasus, and with it, the emergence of a new political class. This new group came from former members of the FSB and other defence and law enforcement operatives. The war on terrorism and extremism in the North Caucasus became a useful pretext for the suppression of political opponents and the replacement of one elite group by another. Thus, members of the Kumyk ethnic group (the third largest in Dagestan), who were fighting for the right to parcel out common land in a suburb of the capital Makhachkala, were labelled ‘extremists’, as were the residents of the village of Tidib and campaigners in Kabardino-Balkaria who were trying to repossess former collective farmland. Grozny restored. CC Vladimir Varfolomeev / Flickr. Some rights reserved.The federal and regional governments were allies for almost 15 years in this war on ‘extremism’. Rising oil prices allowed the local elites to be compensated for the loss of their sovereignty with fabulous incomes, while the general public was kept sweet with social services and benefits. Now the situation has changed fundamentally. Local political heavyweights, Moscow’s erstwhile allies in the creation of the power vertical, are now being called to order and finding themselves behind bars. 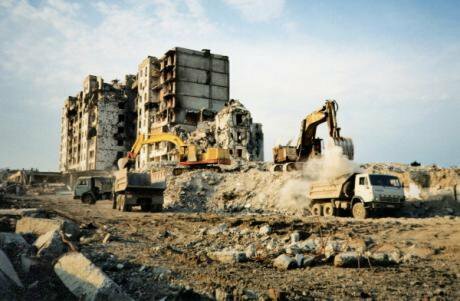 The first to fall was Said Amirov, the mayor of Makhachkala. These former allies are not being prosecuted for corruption (or not only for corruption – other equally corrupt officials are still in place and have even been rewarded), but for an excess of independence. The Caucasian warlords have found themselves bested by a new generation of Kremlin bureaucrats, mostly political analysts and party apparatchiks. 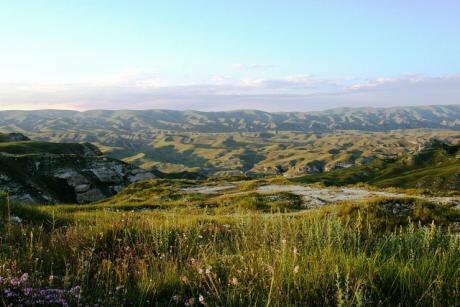 New waves of repression could lead young people to 'join the hills' in Dagestan. International Crisis Group / Flickr. Some rights reserved.Parallel to the fall of these powerful regional clans, the main armed underground groups were annihilated in the run up to the 2014 Sochi Winter Olympics. Most of those fighters whot remained pledged their allegiance to “Islamic State” (which is banned in Russia). The authorities’ plan to drive out Muslims whose views were at odds with those of the official Muslim spiritual leadership thus had some public support. “Let them go to Syria and die there!” one contact told me. Russia’s political profile altered radically over 2014-2015. Up to 2014, central government always took the side of the established elites in any regional political dispute, while local opposition forces were labelled extremist and more or less automatically found themselves on the wrong side of the law. Now, with the regional political empires dismantled, the Kremlin and the security services’ are focused on the increasing numbers of people exchanging their traditional rural way of life for a life in Islam, based on knowledge they have gained in Syria, Turkey or Egypt. The war in Syria and growing tensions with Turkey have only exacerbated this tension. This how the North Caucasus is entering Russia’s most serious political and economic crisis since the collapse of the Soviet Union. The economies of Russia’s republics are already in the doldrums. New factors such as public sector workers’ declining purchasing power, the removal of ‘dead souls’ (no longer deceased serfs, as in Gogol’s novel, but non-existent patients added to health centre lists to boost per capita funding) and Russia’s Central Bank’s ‘sanatising’ of the financial market all affect regional elites. In December, the medical director of a Kabardino-Balkaria hospital was murdered. Khadis Bottayev’s attempts to outlaw the ‘dead souls’ system and various other scams, leading to a cut in income for some members of staff, are considered one possible motive for the crime. Retail markets are likely to be targeted by criminal groups. CC Un Bolshakov / Flickr. Some rights reserved.And this is just the start. Our figures suggest that about half of household income in the North Caucasus comes from the public purse: pensions, invalidity benefits (in some villages 70 percent of residents fraudulently claim to have a disability), multiple-child allowances and agricultural credits. A further decline in purchase power will lead to a second wave of cuts in real household income as the retail market and service sectors shrink. ‘Trifles’ such as sanctions against Turkey, which have put small importers and building firms out of business and hit footwear production and rice producers (whose customers were Turkish businessmen), will be the last straw. The onward march of Russia’s anti-extremist legislation, along with extrajudicial harassment of opposition activists for any criticism of the government or signs of dissidence, are institutionalising confrontation between the Kremlin and a number of groups within the population. These are Salafite Muslims, ‘ordinary’ Muslims who have studied in Syria or Egypt, Kabardian, Balkar and Cherkassian nationalists and so on. And on top of all this, the group forming a buffer between Moscow and the communities of the Caucasus, the regional elite clans, has almost disappeared: its members have either moved to Moscow, become absorbed into the Russian law enforcement bureaucracy or been put behind bars. So, what can we expect in 2016? A continued drop in public sector salaries and a rise in the region’s informal economy from around 50% of the total, as it is now, to 80% or more. The further takeover of both wholesale and retail markets, the service sector, passenger and goods transport and the fuel market by criminal elements. Also, a growth in the law enforcement bodies’ ‘security’ activity (extortion, protection rackets). We can expect an armed public response to this, including the emergence of local self-defence squads, which are already appearing in Dagestan. Increasing public pressure on judicial and law enforcement bodies, Shariah law courts will become more common and a demand will arise for Islamic financial institutions in the eastern North Caucasus. (This will happen later on, when the ammunition is finished.) We will also see the beginnings of ‘local’ medicine and ‘local’ education, some of it based at mosques, replacing the degenerating state and municipal institutions we have now. The last few years have seen Dagestanis acquiring expertise in ‘DIY’ medical and education services. In the village of Tlokh, for example, the village council provided funding for the local hospital to be converted into an Accident and Emergency Centre and an experienced A&E specialist, a native of the village, was appointed its medical director. Now patients come for treatment from as far away as Astrakhan, more than 500km away. And natives of the village of Tlondoda who had moved away have built a 30 place dormitory block at its Muslim primary school so their children can come from the city to board there, and have saved the school from closure at the same time. Money collected by parents each month allows extra teachers to be hired to teach Russian, Arabic and PE. The turn towards Islamicisation will continue. In the north-east Caucasus, the concept of secular education has conclusively lost out to Islam because of problems with the judicial system and social mobility. People are increasingly thinking in completely different geopolitical terms. 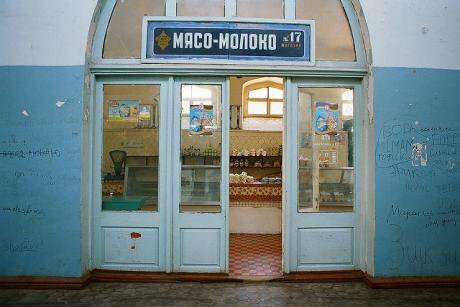 Urbanisation is not resulting in the Russification of migrants from mountain villages, but more in the creation of a completely independent urban culture. Depopulation will continue and perhaps increase. It will be the most educated and prosperous people who will leave. This emigration will have not only economic consequences, in terms of an outflow of capital, but also a political consequence: the people who are leaving and will continue to leave will be those who feel the greatest loyalty to Russia and who therefore support Russian social, political and business norms. In 2016, the Caucasus will become even less Russian in its institutions than it has been up to now. Finally, in 2016 Russia’s new political agenda in the North Caucaus will become apparent. It will no longer be a question of disadvantaged population groups protesting against the ethnic, religious and land policies of the regional government and the war with the armed underground. Instead what will gradually come to the fore will be a confrontation between the Russian security servies and a considerable part of the North Caucasus Muslim population. At present, disputes over land are resolved with the help of intermediaries — members of the regional elites. When these go, disputes will be direct, head-on, which will create a new political order and bring new leaders on board. This is potentially a battle for resources. Some regional religious and ethnic groups are already thinking about their potential role ‘when the oil runs out’. In 2015, the North Caucasus witnessed the height of suppression against regional elites, and in 2016 we can expect to see a natural rebound. This will be centred on the State Duma elections in September, where the clans will attempt to either regain their lost ground, or negotiate extra preferential conditions. The competition for assets in the power struggle is hotting up; the political toolkit for this competition has fallen into disuse during the ‘power vertical’ years. That is why 2016 will be a year of political innovation, with the devaluation of the old political orders and the emergence of new ones. 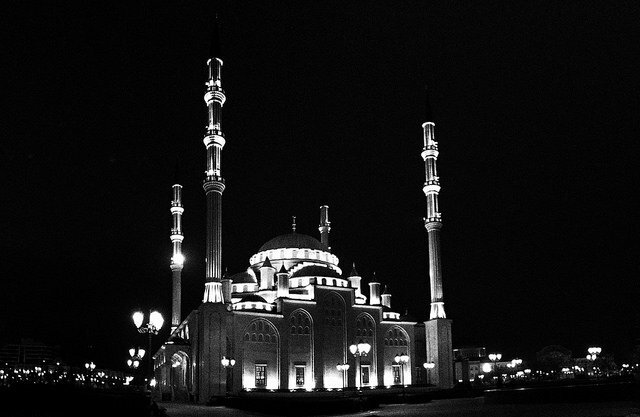 Standfirst image: Akhmad Kadyrov mosque, Grozny. CC Gregor Winter / Flickr. Some rights reserved. This article originally appeared in RBC in Russian.